Breakthrough mission pack A secret gathering is underway. The Chicago Club is negotiating power with Corporate CEOs. The Club has hired scramblers to block surveillance devices. Drive around the city to find the scramblers and take them out. Retrieve all names from the meeting and upload their images to the world. This includes all region exclusive editions, such as Australia and New Zealand's ANZ Special Edition and the Europe, Australia and Asia only Vigilante Edition, the only version that offers a wearable replica of protagonist Aiden Pierce's hat. You come away with 10 copies of the game and don't forget about the season pass. Of course, you wouldn't be able to play every version because of console region locking. 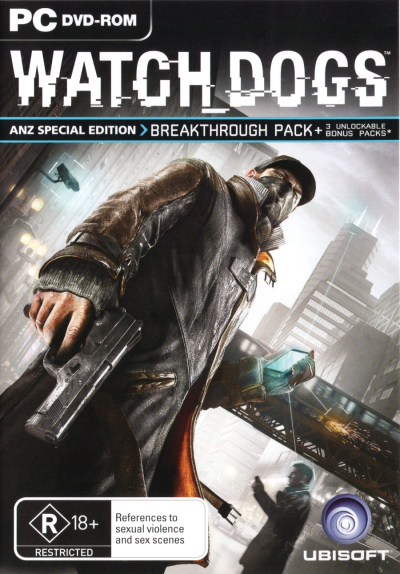 The Ubisoft Watch Dogs Special Edition PC Game was added to the PC Games category in November 2017. The lowest price GetPrice has found for the Ubisoft Watch Dogs Special Edition PC Game in Australia is $53.76 from The Nile. Other merchants who stock it are The Nile.